Configuration file is binary format. The Decal Limit value sets the decal's decay rate before disappearing. It should be set to Off for the best effect. Controller rebinding. Prompted when opening game and DirectInput is detected. 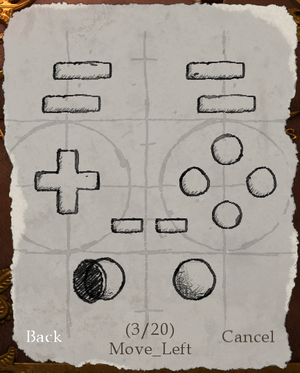 The game has built in support for controllers, but the default controls for spellcasting are so obtuse (right stick to any four main directions and 1/4 to either side) that use of the keyboard is recommended. Third party scripts have been created to apply a much more sane control scheme for use with controllers, and can be found here. Chapter introductions are spoken normally; language spoken in-game is gibberish. Official in-game localization has numerous errors and quality issues. Only one keyboard usable at once, other players must use controllers. On newer laptops with an i3/5/7 processor and some form of ATI/Nvidia graphics card, the laptop usually has the option of running a program on either on the integrated graphics or discreet graphics. 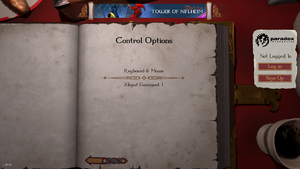 Sometimes, the graphics driver incorrectly runs Magicka on the integrated intel graphics. 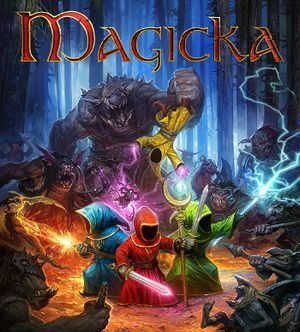 Force your system to run Magicka on the ATI or Nvidia card will greatly increase performance. When experiencing this error code and Office 2010 is running, try changing the system language from Japanese to English. This error has something to do with Office 2010's Microsoft IME. Open the windows control panel and navigate to Sound. Highlight the speaker then click properties. Go to the Sound Blaster panel. Check the Disable Sound Blaster enhancements. All of the above programs are known to cause crashes with Magicka. Disable or uninstall those programs. Try reinstalling .NET 3.5 SP1 and XNA Framework 3.1. Try some of the solutions here. Make sure .Net 3.5 is enabled. Some people have had issues running the game while mumble is open. Most likely related to Mumbles overlay. Start Mumble again seems to get around this issue. When experiencing some freezes and are running Windows XP on a dual core AMD CPU, make sure to install this CPU driver and the AMD Dual Core Optimizer. Magicka can occasionally freeze if it is run on a dual core system. Setting Magicka to run on only one core may solve this. In the processes tab, right click "Magicka.exe" process and select "Set Affinity"
Uncheck "CPU 1" so that ONLY "CPU 0" is checked. For Nvidia cards, use the Nvidia control panel to force triple buffering and V-sync. For ATI/AMD cards use the AMD VISION Engine Control Center to create a profile for Magicka that forces triple buffering and V-sync. Intel integrated graphics cards are not recommended for playing Magicka. Playing on an Intel 2000 is neigh unplayable, while playing on an Intel 3000 is possible with reduced resolution and noticeable frame rate drops. Arrowhead Game Studios recommends avoiding integrated graphics cards. Online play requires a DSL Internet connection. ↑ 2.0 2.1 File/folder structure within this directory reflects the path(s) listed for Windows and/or Steam game data (use Wine regedit to access Windows registry paths). Games with Steam Cloud support may store data in ~/.steam/steam/userdata/<user-id>/42910/ in addition to or instead of this directory. The app ID (42910) may differ in some cases. Treat backslashes as forward slashes. See the glossary page for details. This page was last edited on 5 April 2019, at 08:53.